So you’re looking to buy a home or investment property in San Diego? Obviously, you want the best possible value. You work hard for your money…and San Diego real estate is so expensive. With the prices of homes in San Diego, no one wants to overpay, and we’d all like to find a “good deal,” wouldn’t we? Of course. HOW in the world do you search them all? 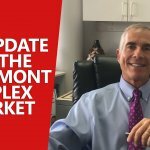 How do you find that golden needle, that great value, hidden in the massive haystack of endless properties for sale all over San Diego County? As you know, it’s just too impractical for homebuyers or their Realtors to effectively search the vast sets of data from the San Diego real estate MLS for hidden real estate bargains. 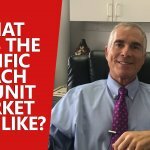 Even if one knew what to look for, it’s all but impossible to manually explore sets of data from the San Diego MLS each and every day and review every single new listing that comes up…plus check on the sea of older listings to discover which have been reduced to attractive or even below-market prices. …The creative minds and web geeks at our in-house computer services department developed ANDRE: our Automated Notification of Distressed Real Estate system. ANDRE is a proprietary software system that uses our custom-designed algorithm to regularly scan the entire San Diego County MLS and flag the potentially distressed, undervalued, and even San Diego foreclosure properties as soon as they hit the market or are reduced in price. Well, during our beta testing, one of our computer techs found several great values and actually purchased the home that he lives in now. And the home is worth considerably more than what he paid. ANDRE is the way to buy a home or investment property at a great price and save thousands of dollars. ANDRE is perfect for you if you’re focused on getting a good value. Are you eligible for ANDRE? To be eligible for ANDRE, you must be serious about buying a home or investment in San Diego. And you cannot have a current buyer-broker agreement with a real estate agent. One more thing: sorry, but you cannot be a practicing real estate agent! Call (858) 457-5368 any day of the week between 9am and 5pm. Either way, you’re about to start receiving emails each morning of the best values in San Diego real estate!